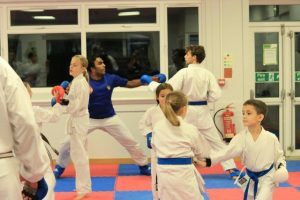 Karate at YMCA Hawker in Kingston is suitable for all ages and abilities with an incredible team of coaches, led by Sensei Satinder Sehra who runs Kahlsa Karate. It’s one of the top 10 karate associations in the country and squad members compete regularly in the UK and Europe. With around 400 students attending each week at YMCA Hawker, it’s a friendly and welcoming club. Children take up the sport from around 6 years old and tend to stay with the club until they are much older. “My students stay because I get the older ones involved in teaching the younger ones; it helps build their confidence,” explains Sensei Satinder. In 2018 the association became the second best association in the country, winning 17 medals out of a possible 20, including 10 golds. 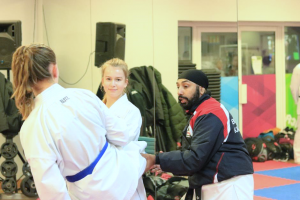 “A great achievement,” says Sensei Satinder, who himself is also the Southern regional coach for the England squad. Jenna is the British champion for the 14-15 years category. She is a Ham local and attends the German school in London. 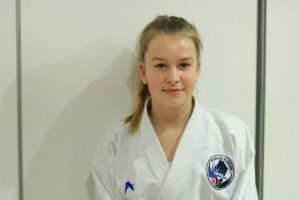 Jenna first came along to karate at YMCA Hawker when she was just 8 years old. She loves competing: “It’s such a thrill, standing on a mat opposite someone knowing that this is your chance to do something great”. “We do sport karate here at the club, rather than traditional karate. 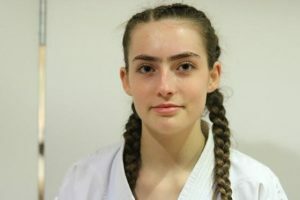 Sport karate is more focused on fitness and technique”. 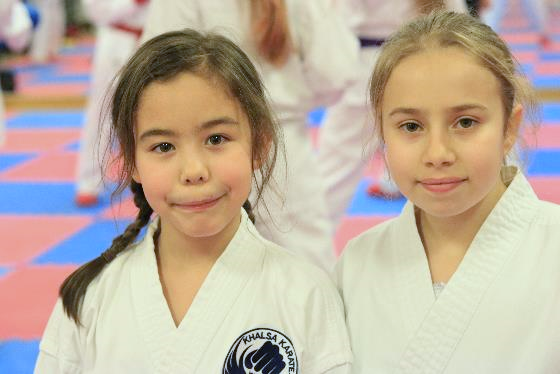 “Sensei Sat treats us like family, we’re all quite close and he takes care of us really well. If we ever need anything, he will be there for us”. Emma is English Champion and British number two. She lives in Sunbury and is studying sport science at the University of Surrey. 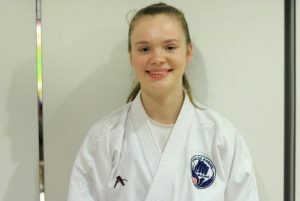 Emma started karate when she was 11, and joined Kahlsa Karate at YMCA Hawker when she was 16. “I was interested in competing and my previous coach recommended that I came here”. “I think karate is just a bit different and it’s exciting,” she says. “I definitely would like to carry on competing and see where it gets me. I got selected for the England team in November and we’re off to Denmark in February for the European championships. 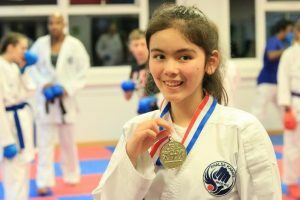 Alex has been doing karate for nine years has won many medals while competing and won a gold, two silvers and a bronze last year – all while studying for GCSEs. She is currently doing her A Levels at Greycourt School in PE, Sociology, Psychology and Biology. “We have England squad training once a month in Leicester, and here at YMCA Hawker I train three times a week, for two hours each session”. “I like competing but I get very anxious beforehand! It’s a great thing to do and you get to know other people from other clubs. I’m in the 16-17 years group and 48 kg category which is the lightest. “Sensei Sat will be with us at the European championships to support us, he comes to a lot of our competitions. If you would like to know more about Khalsa Karate sessions at YMCA Hawker, then call 020 8296 9747. You can also follow the club on Facebook. 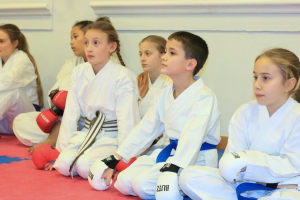 We run a number of martial arts classes for children and adults at YMCA Walthamstow, led by instructor Steve Payne. Take a look at the class timetable for more details. We also run Karate at YMCA White House in Hampton.